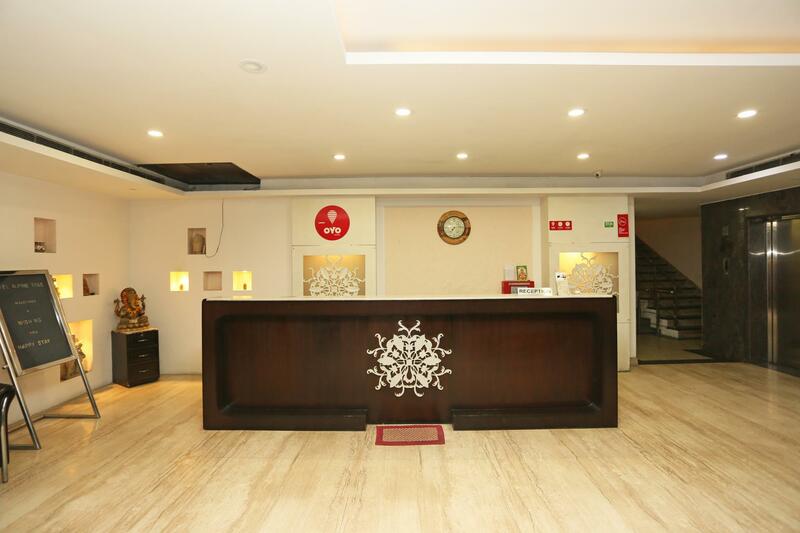 Location - Located on the Mahipalpur Highway, this Hotel gives you easy access to the Airport Terminals. Quite far away from the City Cleanliness - Rooms were quite clean and good Staff - Very courteous Facilities - Got hot and fresh roti and dhall at midnight when we arrived. 24 hours room service. Very good. One night before upcoming flight. More would be a nightmare. Stay here only possible if you ready to drink enough. Airport is nearby, it is a single plus. Pro: close to airport (difficult to find though) Cons: Disgusting room! Sheets were not clean, bathroom was out of a horror movie. Couldn't sit on the toilet it was so filthy (refused to shower in the bathroom because it was so dirty). Overhead fluorescent bulb was glowing all night. Staff was rude and not helpful in the slightest. Would definetly recommend NOT staying here. Worst accommodation we have encountered in India by far. On the internet the pictures look great and seems like a nice hotel, however when we got there, it was dirty, the room walls had damp on them. The toilet was not even cleaned. The furniture was not cleaned. When asked staff about getting the toilet cleaner, they did not have anything. It was a dreadful experience. DO NOT WASTE YOUR MONEY. Value for money. Should have a shower curtain and an elevated bathing place so that it will prevent the whole bathroom getting wet. Running hot water, very clean, friendly staff. Large rooms, very modern decore bet was comfortable. There is no restaurant here but 24 hour room service available, airport pick up and drop off available but they add and extra rupee each way for the service. Free wifi abailable through out hotel. Staff was very good and co-operative. Hotel rooms were okay. But the toiletries was bad Specially the bed sheet, towel, blankets etc are old and worn off. Hotel management must look into it immediately. Average hotel. 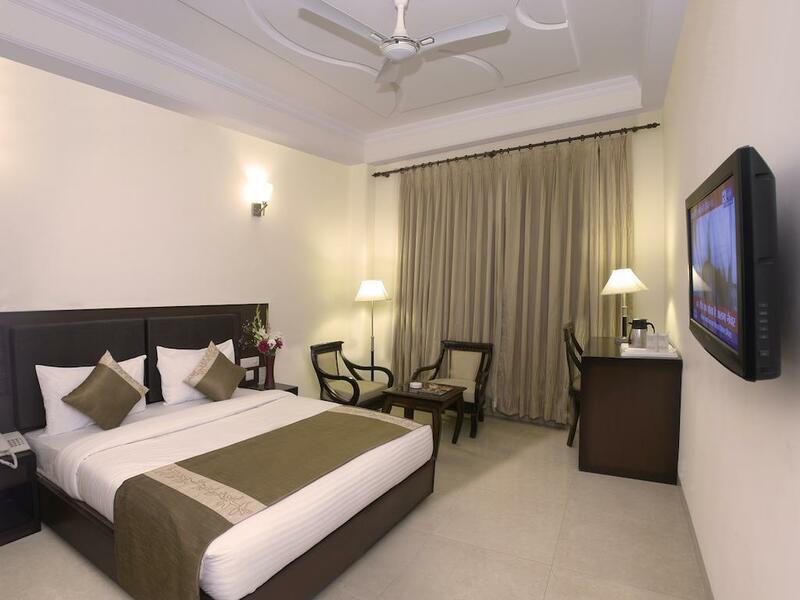 i booked this hotel as i had to stay in delhi for 2 weeks and did not want to waste too much money on a hotel where anyway i would just come to sleep. i must say that the hotel is complete value for money in terms of price, the room is decent size although its not that clean but what more can you ask for the price i paid. the bed is comfortable, room service is fast and the staff is also good. when i booked this hotel, the hotel facilities info showed that it has bar, restaurant, coffee shop, gym etc.. but it doesn't have any of those but it was not a surprise as i knew at the time of booking that at such low price there is no way they can offer all that. to top it all up, my room had a window but there was a wall just next to it on the outside so the sunlight couldn't come in and i couldn't see outside, i don't understand the logic of having that wall there. if your booking has breakfast included then just call them and tell them in the morning, they will get a menu to your room from which you have to choose and then they will serve in your room. my personal opinion is that there are better hotels near by, try them out. good rooms but not properly clean rest is ok, staff require too much documents at reception. The hotel was being renovated when we arrived and the entire lobby was torn apart with construction materials and dust everywhere. We actually thought the hotel was closed until we asked one of the employees that didn't acknowledge us when we walked in. We took a taxi and didn't have change to pay. We asked the front desk for change and they refused. We had to go to another hotel to get change. We were give the wrong type of key. The bellhops copped attitude with us when we told him we needed change before we could tip them. The pillow case had hard balls things all over it and the pillow was clumps of cotton. The sheets and comforter were dirty. The "window" opens to a wall 3 feet away. We ordered nan and it took an hour before it arrived cold. The next morning we called for our included breakfast (1 hour later- no food). We were hung up on by room service 3 times. When my husband called to complain, they said it was my fault. Then when I called they said it was my husbands fault. Finally bread and un-cooked eggs came. When we asked for the eggs to be cooked more, they said no! Then the guy had the audacity to come to our room and tell us we needed to tip him because he was going home. Then asked us to sign a bill for the food we couldn't even eat and was supposed to already be included. HORRIBLE!!! Noisy place outside, near the highway, no window. Not bad for Delhi standards. Comfy bed, bathroom ok although very small, toilet was leaking but this is standard in India, water tap knob was broken. No restaurant, only room service. A lot of staff in the lobby doing nothing other than watching at you. Room was ok, even flat TV available, aircon and ceiling fan. Too expensive for what you get but there are not many other options near the airport. Description of hotel is full of lies: as opposed to what is written, it does not have a bar, wireless internet, bathrobe, newspaper, shops, hair dryer, breakfast was not included. Some staff barely spoke english. Room felt like low budget bunker with window opening on blind wall. Very close to reception where people were shouting most of the night. Highly overpriced. Clean. Nice TV (large screen and satellite). Staff poorly trained. Hyvä sijainti, kun tarkoituksena yöpyä lentojen välillä. Hotellihuoneessa ei ollut tietoja hotellin palveluista. Saavuimme yöllä, joten paikalla saattoi olla henkilökuntaa joka ei osannut kertoa palveluista. Huoneen hintaan sisältyi aamiainen, mutta mistään ei selvinnyt että aamiainen olisi pitänyt tilata huoneeseen (meiltä jäi siis kokonaan väliin, koska emme enää olisi ehtineet sitä odotella kun kuulimme että aamiaista ei tarjoillakaan hotellin omassa aamiaishuoneessa) Huone oli kahdenhengen huone, mutta kylpyhuoneessa vain yksi pyyhe käytössä. Pyyhe oli myös tosi epämiellyttävän näköinen, ollut joskus valkoinen mutta ei enää... Huoneisiin kuului kaikki äänet käytäviltä ja muista huoneista. สถานีรถไฟใต้ดิน Delhi Aero City - ระยะ 0.67 กม.